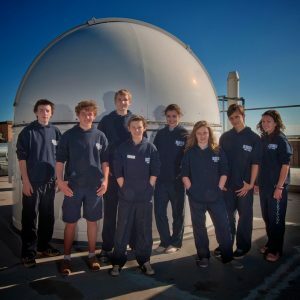 Professional astronomers and astrophysicists aren’t the only people who can make worthwhile scientific discoveries thanks to SPIRIT, a web-enabled robotic telescope initiative accessible to educators, students and researchers in Western Australia and beyond. Students visiting the SPIRIT observatories at UWA. 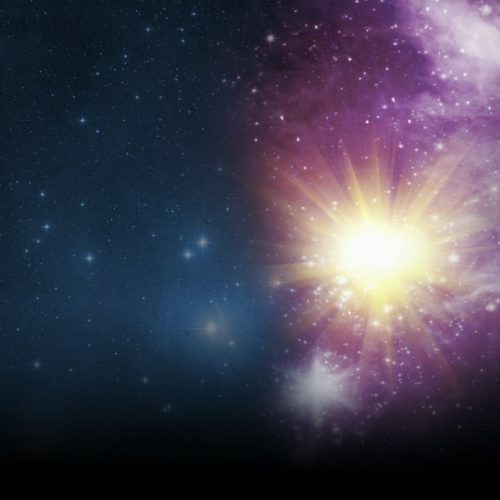 The SPIRIT initiative provides a full life-cycle of resources and activities for the next generation of astronomers, allowing them to access the same tools used by professional astronomers and discover the universe for themselves. 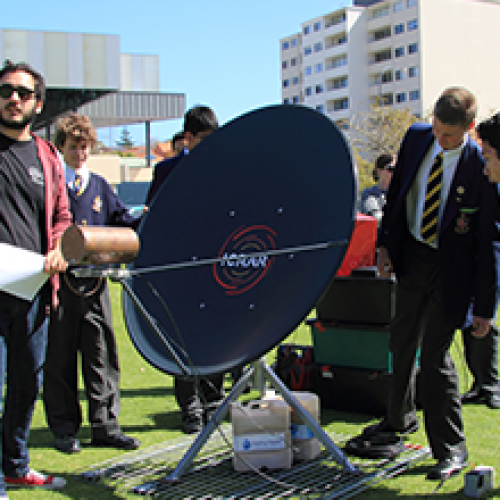 Any school in Western Australia can access SPIRIT–all they need is an internet connection. 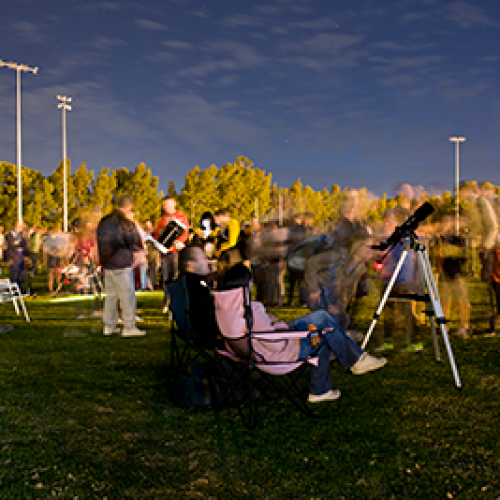 The interface allows students to control the telescope with nothing more than a browser. Students can ‘drive’ the telescope, get images of celestial objects in real time and conduct real science. They can also schedule images to be acquired while they sleep, which are taken unattended and made available for download the following morning. Cutting the ribbon at the launch of SPIRIT. SPIRIT I’s primary mirror has a diameter of 35cm – perfect for viewing objects hundreds of millions of light years away. It is housed in a 3.5m dome observatory on the roof of The University of Western Australia’s physics building. In 2012, SPIRIT II was added next to the SPIRIT I in another dome on the roof, doubling the capacity for WA students.